The village of Talo is located on a plateau and is best known for its cleanliness and hygiene among all other villages located in the Punakha valley and is diffused amon the hill slopes. It gives splendid views of the neighboring villages. It is situated above an elevation of 2,800 meters. The farm houses of this village have beasautiful flowers blooming outside it whille the hills are filled with sweet peas and corns. It is clear that the vegetation of Talo is lush and is abundant. The village is one of the attractive villages of Bhutan. 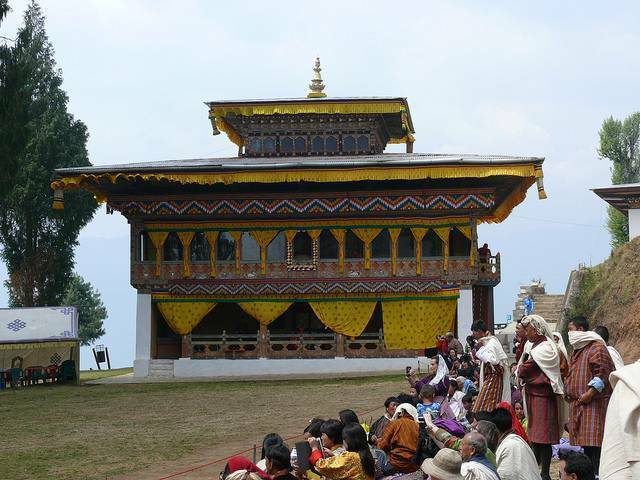 The Talo temple, very much nearer to the village, is actually regarded as a summer retreat for one of the great Zhabdrungs who has a lineage of the present royal family of Bhutan. It is also said that the women of Talo are considered to be the most beautiful.